LOS ANGELES - Feb. 17, 2017 - PRLog -- You may be wearing green this St. Patrick's Day, but will your company be bringing in the green? Corporate Hypnotist Professor Jay Tee says he knows how to help your company improve your bottom line — by improving your people's minds. It's obvious that any company has three levels of employees: high performers, mediocre performers, and minimum level performers. Naturally, it takes training to move anyone up in skill. Many companies already spend a lot of money on training for their staff. But it takes the correct types of training to ensure that your staff will be able to that the take provide high-performance. Professor Jay Tee says that the problem is that they are not providing complete training in all the mental abilities necessary. "In order to achieve anything significant, people must utilize four basic mental abilities. You have to learn to build a MOAT around your company," says Professor Jay Tee. A moat? You mean, like water around a castle? "Not quite," laughs Jay Tee, "this MOAT will work better to protect your company than a real moat would." How do you build a MOAT to protect yourself? First, he says employees have to have the Motivation, the drive, the intention to do something and do it well. Second, they have to have sufficient Organization to keep track of what it is they need to do and what it is they have done. Third, they need to take the proper Actions. And last, there needs to be enough Teamwork for the job at hand to be accomplished. Every Personnel Officer who reads this far will be arguing that they already do enough training to support these. They hire motivational speakers to pep up the staff on a regular basis. They do teamwork exercises (and games) and they even organize group sports activities to build more teamwork. The rest of the entire business is focused on getting people organized and helping them to work together. So what's missing? "The missing factor," explains Jay Tee "is Action. People are trained — and how much they are trained! — in Motivation, Teamwork, and Organization. Where the companies are falling flat is that employees are not taking Action to achieve their intended goals. Motivation does not automatically cause Action!" The professor continues, "I recently met a man who is a mediocre performer at a middle sized company. He is a follower of one of the motivational 'gurus.' He has spent more than $15,000 over the past five years buying books, DVDs, video seminars and webinars, and going to several of the in person training programs offered by the guru. He is motivated as you can possibly imagine. His dreams are high, his goals are high, he knows exactly what he wants, and he knows exactly how to get there. He'll get there after the next training program offered by the guru… Or the next one, or the next. But chances are he'll never do anything significant at all. He has been super-motivated (one might even say hyper-motivated) but he has no idea how to take real Action toward his dreams." So what can you do to make your people take Action, instead of just being Motivated to do nothing until death? The professor, also known as the "21st-Century Hypnotist," says he has developed a method of training corporate staff members using hypnotic commands embedded inside an entertaining hypnosis show. He calls the Hypnotic Marvels™ program. It's a type of Fun Mind Control. And it has benefits for both the company and the participants. "In any of my programs, online or in person," says Professor Jay Tee, "I'm essentially training the participants to improve their control over the unconscious mind. The difference with Hypnotic Marvels™ is that I can also place a focus on company needs. The participants learn to model the more successful members in their teams and use the ability to mimic their behavior as a way to springboard higher performance for themselves." In addition, Jay Tee explains, the participants are not only given Motivation to do something consciously, they are given the ability to cause Action with embedded commands given to their unconscious minds. Thus, the final necessary factor comes into place. Building your MOAT is complete. 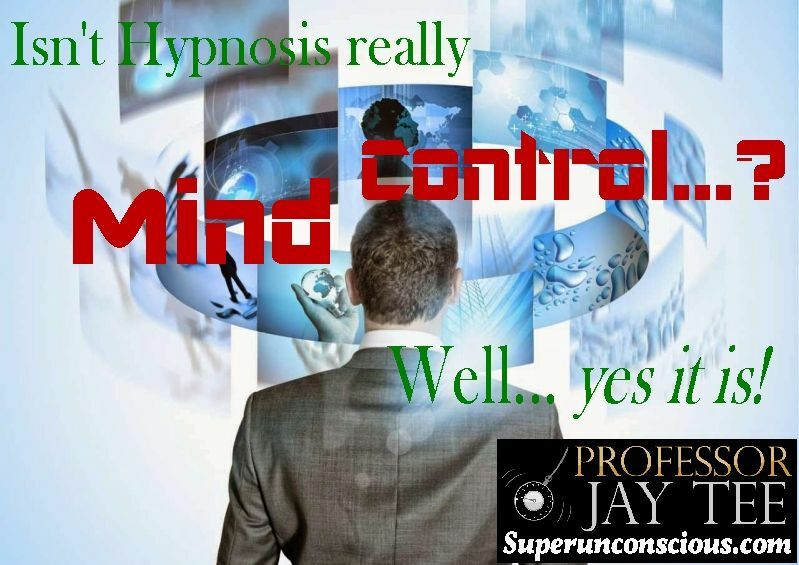 Professor Jay Tee, the "21st-century hypnotist" has played with thousands of people's minds — to make people feel great, to help them improve their lives, and to help their companies improve, by providing comedy hypnosis, online hypnotherapy, and corporate improvement programs. He is widely recognized as one of the world's leading hypnotists and mind control experts. To find out more about the new Hypnosis Marvels™ program with Aikinosis™, visit http://superunconscious.com, Professor Jay Tee's website. Follow him on Twitter and like him on Facebook.